In the north Slovenia borders Austria and therefore shares a part of the Julian Alps, the Karawanks and the Kamnik–Savinja Alps. 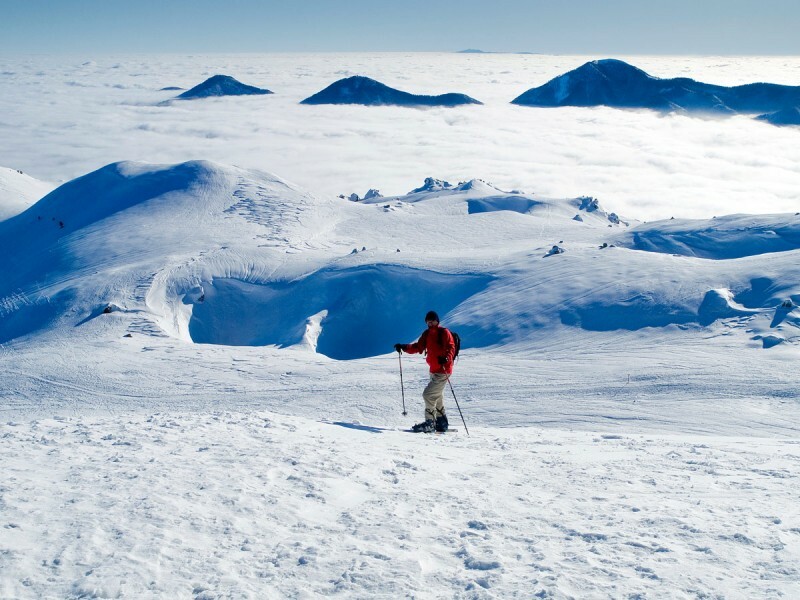 The country offers top conditions for winter sport enthusiasts. The most famous ski resort is Kranjska Gora, the location for the Men's World Championship for giant slalom. The neighboring area of Planica will host the finale of the Ski Jumping World Cup. The ski jumping hill is the second largest in the world! Another popular skiing area is the Skicenter Vogel in the western part of the country. The largest ski resort lies in the eastern part of the country near the city of Maribor, the second largest city in Slovenia. Meribor Pohorje offers 40 kilometers of trails (25 mi) in all levels of difficulty. In addition the Womens World Championship will be hosted here. 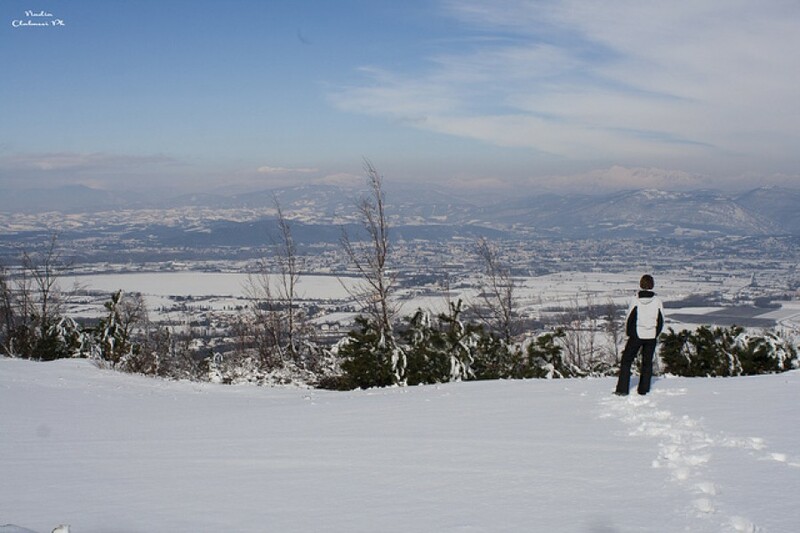 Besides those rather large ski resorts, Slovenia has lots of smaller areas to offer which are preferred by families. After skiing you should strengthen yourself with a typical Slovenian meal. Influenced by the neighboring Alps and the Mediterranean area the end result is a great combination. A very famous traditional meal is called Njoki, comparable to the Italian Gnocci and the Austrian Nockerln.